Every parent has a different opinion about what “bad” behaviour is. If it’s so hard to define, how can we speak of it to our children? 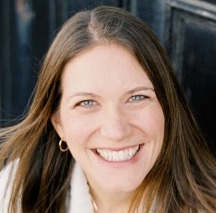 I’m thankful to have a special guest on the blog today to help us explore this topic. 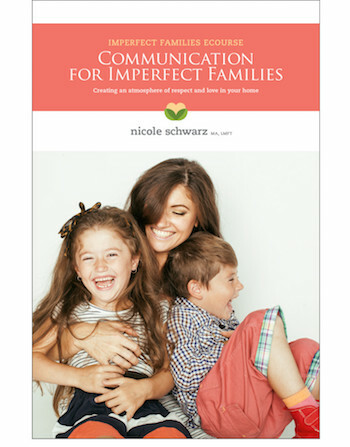 Nicole Schwarz is a mom to 3 girls, a Parent Coach with a License in Marriage and Family Therapy, and author of Positive Parenting for Imperfect Families. She encourages parents to embrace their imperfections, learn from mistakes, and move forward using respectful strategies. 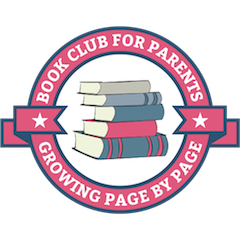 Find positive parenting articles, e-courses, and information about Parent Coaching on her website, Imperfect Families. Why is it important for parents to talk to their kids about “bad” behavior? Parents talk to kids about bad behavior all the time. Unfortunately, these conversations often sound like, “Stop whining!” or “Why did you hit your sister?” These statements rarely lead to change, and often make the behavior worse! Rather than seeing “bad” behavior as something that needs to be “punished” out of our children, it may be helpful to see it as a cry for help. In this situation, your child did not have the resources or ability to make a better choice. Positive, respectful conversations about these behaviors can empower and encourage your child to make a different decision in the future. Your own internal alarm may be blaring, telling you that your child’s behavior needs to be addressed IMMEDIATELY! Instead, take a few deep breaths. Allow your brain to return to a calm state before you move forward. It’s easy to rush to the consequence or give a punishment when “bad” behavior surfaces. Instead, give your child an opportunity to reconnect with you before you talk about the behavior – hugs, crying together, being silly, or simply being silent together. Encourage problem-solving by helping your child identify the thoughts and feelings that lead to the “bad” behavior. With time, your child can learn that they have options besides hitting or hurting others, even when big feelings surface. The earlier the better! Even young children can begin to identify their emotions and learn new ways to manage tricky situations. When you see “bad” behavior as a cry for help, you are in a position to support your child, regardless of their age. For very young children, “Hands are Not for Hitting” (and other titles in this series) gives kids alternatives to these behaviors. As your child grows, focus more on the feelings behind the actions (anger, anxiety, jealousy, sadness, etc.). Books and resources focused on coping and calming skills, such as the “What to do when I feel…” series, are a great place to start. 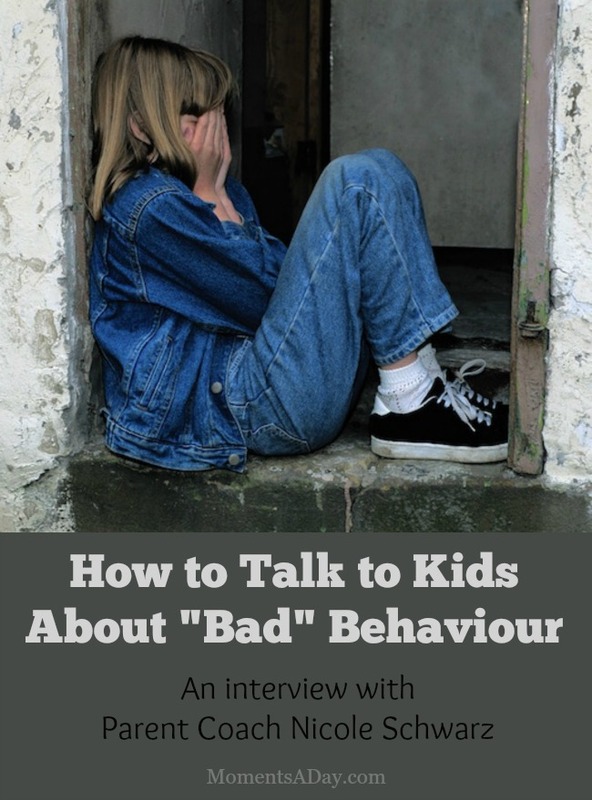 How do you talk to your kids about “bad” behaviour? Any helpful analogies, resources or experiences you want to share? So great to see this important approach on your blog. I’m convinced that a large majority of social problems we’re facing are due to the way parents react to children when they behave in ways we don’t like. Thank you for this work and for affirming some of the choices our family has made, sometimes to the criticism of others around us!